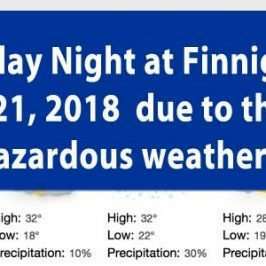 No bingo tonight due to low temperature December 27th, 2017 at Finnigan’s Hall. 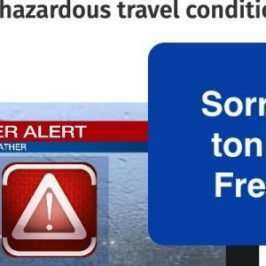 Due to the wind chill and frigid temperatures. 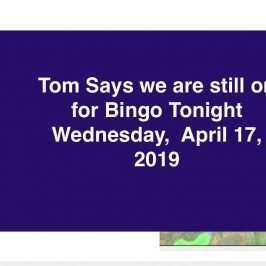 Tom and the Bingo Volunteers are concern for our Bingo Player’s safety and health attending Wednesday Night Bingo at Finnigan’s Hall. 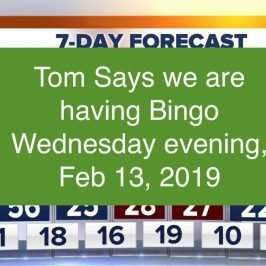 Tom and the Bingo Volunteer apologize for this short notice. 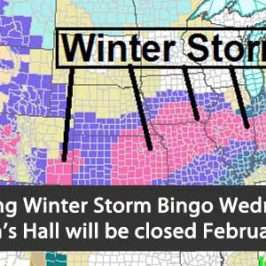 Bingo Cancelled Wednesday evening, December 27th, 2017. 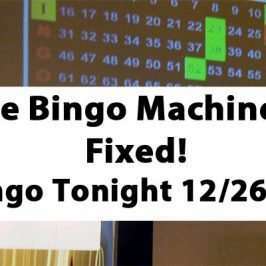 We look forward to resuming our normal Wednesday Night Bingo Schedule Next week. We will give away $1199 on our progressive next week. If you have any questions, please send us a message or call (816) 841-2575.